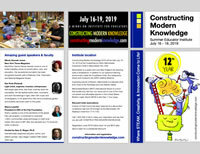 Constructing Modern Knowledge, now in its 10th year, is a minds-on institute for educators committed to creativity, collaboration and computing. Participants have the opportunity to engage in intensive computer-rich project development with peers and a world-class faculty. Inspirational guest speakers and social events round out a fantastic event. Rather than spend days listening to a series of speakers, CMK 2017 is about action. 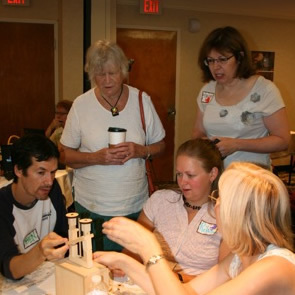 Attendees work on personally meaningful projects and interact with educational experts concerned with maximizing the potential of each learner. While our outstanding faculty is comprised of educational pioneers, bestselling authors and inventors of innovative educational technologies, the real power of Constructing Modern Knowledge emerges from the collaborative project development of participants. 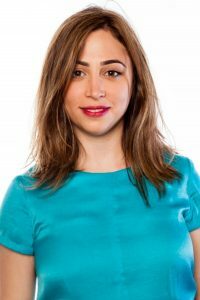 Ayah Bdeir is the founder and CEO of littleBits, an award-winning platform of easy-to-use electronic building blocks that is empowering everyone to create inventions, large and small. Bdeir is an engineer, interactive artist and one of the leaders of the open source hardware movement. Ms. Bdeir was named one Business Insider’s 26 Most Powerful Women Engineers, a New York Hall of Science Creative Entrepreneur, Tribeca Disruptive Innovation Honoree, one of one of Inc. Magazine’s 35 Under 35, one of NY Business Journal’s Women of Influence, one of Fast Company’s Most Creative People in Business, one of Popular Mechanics’ 25 Makers Who Are Reinventing the American Dream, one of Entrepreneur’s 10 Leaders to Watch, one of the CNBC Next List, and one of MIT Technology Review’s 35 Innovators Under 35. Back in 2005, Gershenfeld predicted the maker movement and the impact personal fabrication would have in our everyday lives in his seminal book, Fab: The Coming Revolution on Your Desktop–from Personal Computers to Personal Fabrication. He has been at the top of our speaker wishlist for many years and will soon host the CMK reception at the legendary MIT Media Lab during CMK 2017. 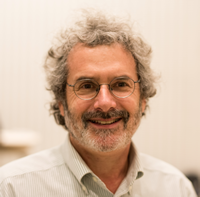 Dr. Gershenfeld is the Director of the international FabLab Network and Director MIT’s Center for Bits and Atoms. Her wit, wisdom, candor, and practical advice have earned Ms. Meier with the distinction of speaking at Constructing Modern Knowledge four times – more than any other person. 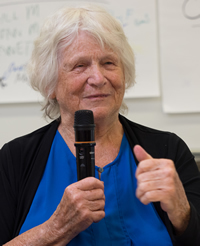 Deborah W. Meier is currently on the faculty of New York University’s Steinhardt School of Education, as senior scholar and adjunct professor as well as Board member and director of New Ventures at Mission Hill, director and advisor to Forum for Democracy and Education, and on the Board of The Coalition of Essential Schools.Meier has spent more than four decades working in public education as a teacher, writer and public advocate. She began her teaching career as a kindergarten and headstart teacher in Chicago, Philadelphia and New York City schools. Ms. Meir was the founder and teacher-director of a network of highly successful public elementary schools in East Harlem. In 1985 she founded Central Park East Secondary School, a New York City public high school in which more than 90% of the entering students went on to college, mostly to 4-year schools. During this period she founded a local Coalition center, which networked approximately fifty small Coalition-style K-12 schools in the city. Between 1992-96 she also served as co-director of a project (Coalition Campus Project) that successfully redesigned the reform of two large failing city high schools, and created a dozen new small Coalition schools. She was an advisor to New York City’s Annenberg Challenge and Senior Fellow at the Annenberg Institute at Brown University from 1995-1997. From 1997 to 2005 she was the founder and principal of the Mission Hill School a K-8 Boston Public Pilot school serving 180 children in the Roxbury community. The schools she has helped create serve predominantly low-income African-American and Latino students, and include a typical range of students in terms of academic skills, special needs, etc. There are no entrance requirements. These schools are considered exemplars of reform nationally and affiliates of the national Coalition of Essential Schools founded by Dr. Ted Sizer and currently led by Lewis Cohen. A learning theorist, she encourages new approaches that enhance democracy and equity in public education. Meier is on the editorial board of Dissent magazine, The Nation and the Harvard Education Letter. She is a Board member of the Educational Alliance, the Association of Union Democracy, Educators for Social Responsibility, the Panasonic Foundation, and a founding member of the National Board of Professional Teaching Standards, the North Dakota Study Group on Evaluation and the Forum for Democracy and Education, among others. Meier was born in New York City; she attended Antioch College (1949-51) and received an MA in History from the University of Chicago (1955). She has received honorary degrees from Bank Street College of Education, Brown, Bard, Clark, Teachers College of Columbia University, Dartmouth, Harvard, Hebrew Union College, Hofstra, The New School, Lesley College, SUNY Albany, UMASS Lowell, and Yale. She was a recipient of the prestigious MacArthur Fellowship in 1987. Playing for Keeps: Life and Learning on a Public School Playground (2010). Ms. Meier’s weekly blog, Bridging Differences is a must-read for educators and those serious about the future of American democracy.